family quality instruction at all levels of riding. 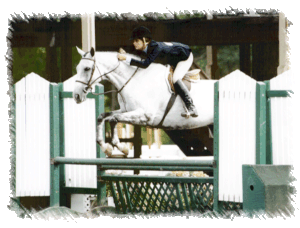 Our professional staff caters to both the young child rider and the adult from beginner to advanced. 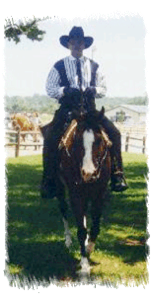 Special attention is given to those who are afraid of getting on a horse for the first time; or who have had bad riding experiences, in the past. All our horses and ponies are extremely well cared for and trained, of high quality, not overworked and NEVER rented to the general public. Be assured that your riding time at Loftmar will be a positive learning experience. We are proud that our facility is clean, safe, and well organized. Our clients enjoy a family atmosphere. Our staff are always available to answer questions or discuss your concerns. We encourage your input and ideas. Our riders learn in 1/2 hour private lessons until they safely and comfortably control a horse at the walk and trot, at which time they advance into our small groups of four to five riders. We teach our students all phases of caring for the horse and its equipment. 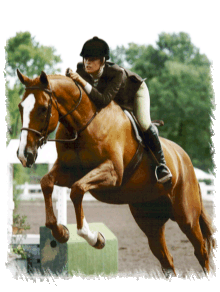 Our students are instructed in both large in-door and out-door arenas and on our wooded trails. 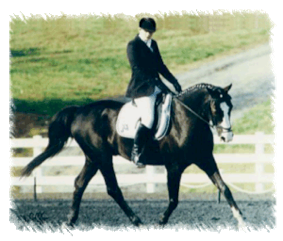 We offer an extensive instructional program which includes hunt seat equitation, jumping and dressage. addition to our comprehensive and high quality lesson program, we offer: CHA certificate/badge programs; junior equitation teams which compete in Virginia and Maryland as part of the National Capital Equitation League; the National Capital Adult Equestrian League, the Archbishop Spalding Team; summer camps; off premises local/rated horse shows; full care board for students' horses/ponies; pony rides for company parties; birthday pony rides; CHA instructor certification clinics. 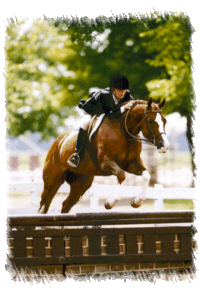 Loftmar offers endless opportunities for the non-experienced through the serious rider. For enthusiastic and dedicated students, there are opportunities to work off board, extra lessons, shows and full or partial leasing of a horse. We look forward to working closely with you to expand your knowledge and enjoyment of horses.